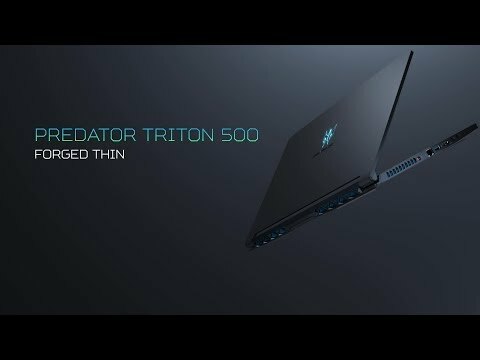 game smoothly with NVIDIA® G-SYNC® The Predator Triton 500 is an ultra-thin gaming laptop from Acer, featuring a 15.6” IPS panel and high quality Full HD resolution with 144Hz and 3ms response time for frames that are seamless, fluid and tear free. 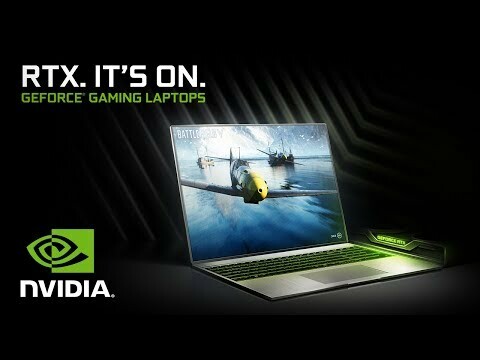 Powered by an 8th Gen i5 8300H Quad-Core Processor and includes a NVIDIA GeForce RTX 2060™ graphics card. Includes 16GB DDR4 memory with capabilities of upgrading up to 32GB, plus 256GB NVMe SSD storage. The Predator lights up 3-Zones of the keyboard with RGB lighting and features see-through concave-shaped keycaps for WASD gamer keys for an added style. The innovative AeroBlade™ 3D Technology keeps your system calm at all times while you game and gain a smoother running system. For immersive gaming hook up four displays to play around with including the laptop screen, simply by connecting via the HDMI 2.0, Mini DisplayPort (mDP) or USB-C™ Thunderbolt™ 3 ports. 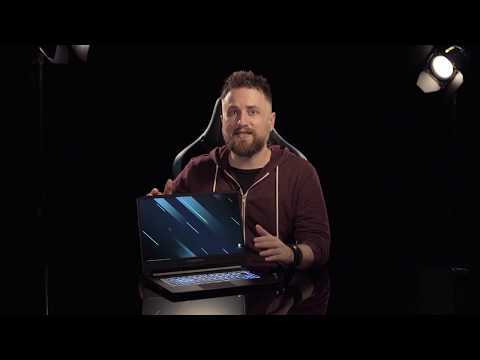 designed for superior gaming Inside the metallic chassis of the Acer Predator houses a Intel 8th Gen Core i5 8300H Quad-Core Processor and a GeForce RTX™ 2060 GPU. With up to 32GB of DDR4 memory at 2666MHz and 256GB PCIe NVMe SSD in Raid 01. The result is an unquestionably insane performance that hungers for real challenges.